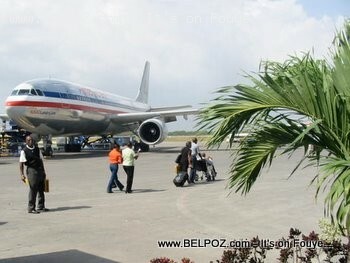 KREYOL: 3 peyi avèti sitwayen lakay yo: Fè ANPIL attention lè w ap vizite Les Etats Unis." KISA??? Tekwè se blan meriken ki toujou ap di moun lakay yo pa ale lòt kote??? Men zen... Kisa ou panse de sa??? These countries warn their citizens to stay on guard when visiting U.S. cities rocked by sometimes violent protests that erupted after a string of police shootings of black Americans, Reuters reports. The U.S. embassy of Bahrain told their citizens on twitter: "Please be cautious of protests or crowded areas occurring around the US." The Bahamas warned its citizens, via a press release, to be careful when visiting the United States. young males in particular are asked to "exercise extreme caution in affected cities in their interactions with the police. Do not be confrontational and cooperate." The United Arab Emirates (UAE) warned its students and citizens in the United States to "Please be aware of immediate surroundings and avoid crowded places when possible." « Congratulations Haitian Soccer Player Sony Norde, JUST MARRIED!